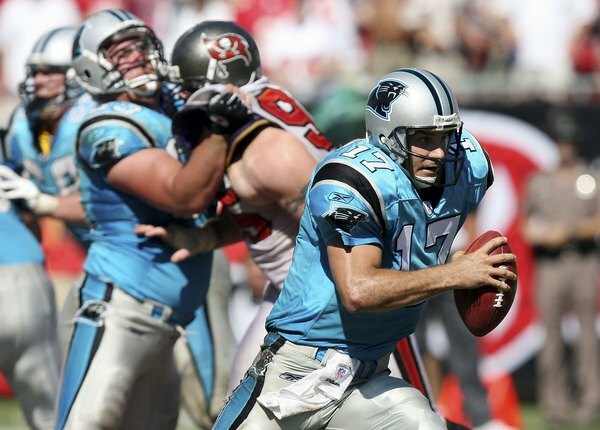 PANTHERS: Foster 20-82, Delhomme 2-12, Hoover 1-4, Johnson 1-4, Williams 4-(-1). 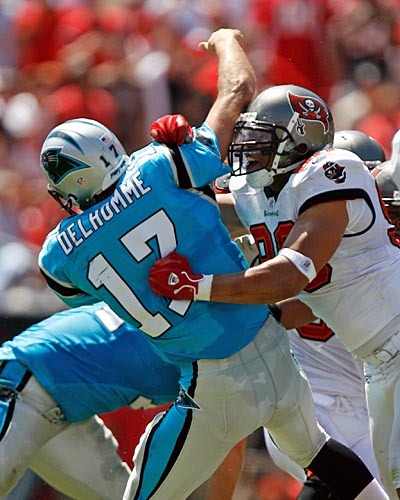 BUCS: Simms 24-12-139-1-1, Gradkowski 1-1-16-0-0. 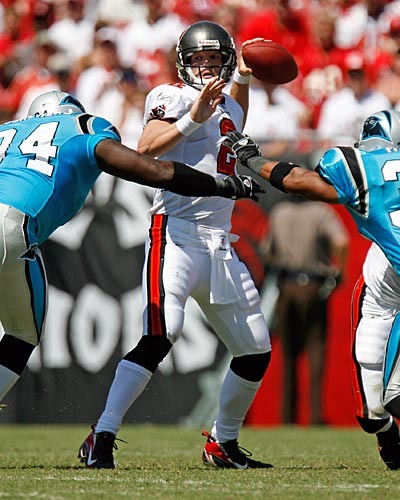 BUCS: Smith 4-72, Pittman 2-25, Williams 2-16, Alstott 2-(-3), Hilliard 1-16, Clayton 1-14, Galloway 1-8, Jolley 1-7. PANTHERS: Smith 7-112, Johnson 7-97, Foster 3-7, Hoover 2-19, Colbert 1-16, Carter 1-14, Gaines 1-7. 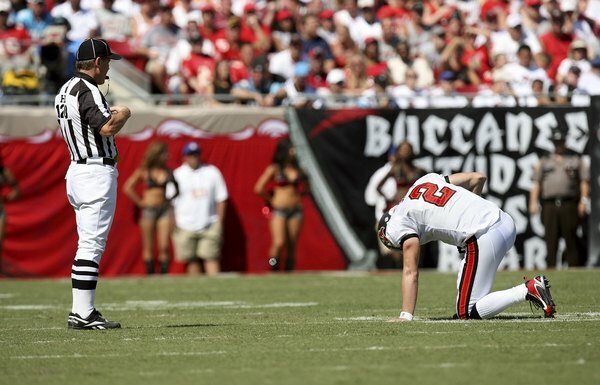 BUCS: Pittman 5-103, Graham 0-1. PANTHERS: Williams 3-70, Hoover 1-12. BUCS: Barber 1-8, Jones 1-1. BUCS: Rice 1-10, White 1-7, Spires 1-6.